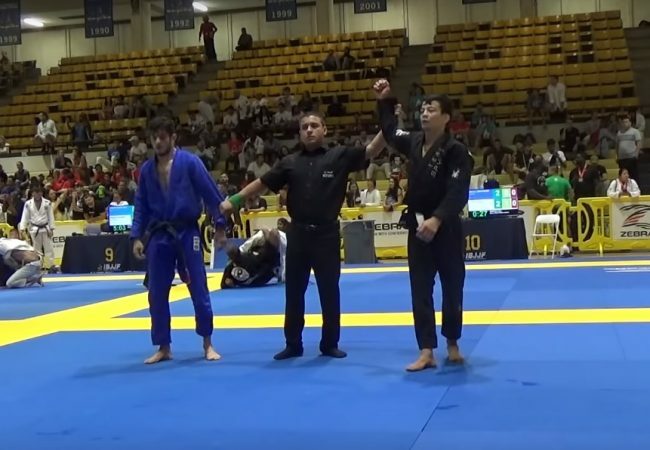 It’s a wrap at the 2019 Pan IBJJF Jiu-Jitsu Championship. The Bren Events Center in Irvine, Calif. saw four days of non-stop action ending this Sunday, when the black-belt absolute champions were crowned. The biggest winners are Gabi Garcia (Alliance) and Lucas Hulk (Atos). They are each going home with double gold. In the men’s section, Lucas Hulk extended his great phase in competitive BJJ. At medium heavy, he defeated Tarsis Humphreys and Matheus Diniz to meet Gustavo Batista, a teammate, and close it out for Atos. In the absolute, after winning duels with Chad Hardy, Fellipe Andrew and Gutemberg Pereira, Lucas was faced with Leandro Lo. It was a hard-fought match, with Lucas working on passing while Lo was containing his attempts. After the end of the fight, the score showing 0-0, two out of three judges deemed Lucas the deserving champion. 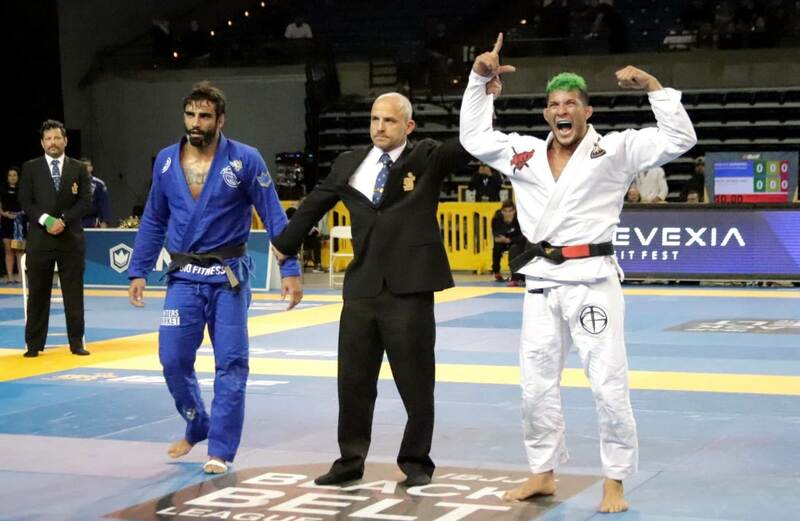 Gabi Garcia’s return to IBJJF competitions was, indeed, a triumphant one. 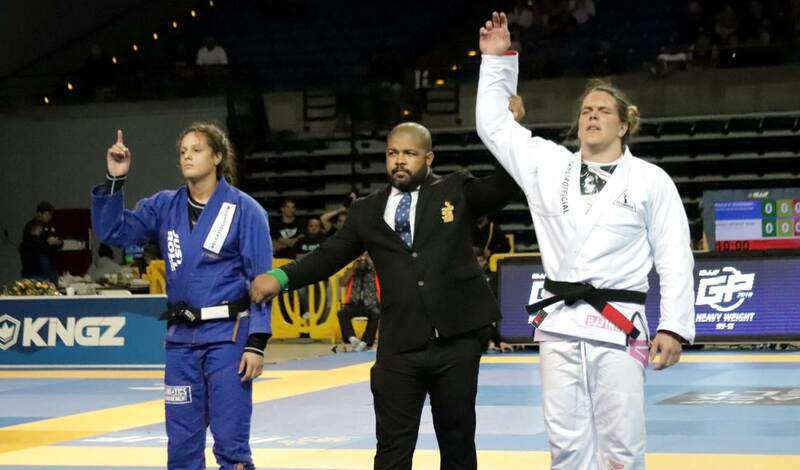 A theretofore nine-time Pan champion, Gabi bested Alyson Trambley and Jéssica Flowers in the super-heavy division before facing Carina Santi, whom she choked for the title. In the absolute, Gabi got past Jéssica Flowers, Ana Carolina Vieira and Luiza Monteiro to reach the final against Nathiely de Jesus, the heavyweight champion. With an advantage acquired early on, Gabi managed to resist Nathiely’s attempts to sweep and finish, and held on to the one-advantage lead until the time ran out. Check out below the results of the black belt finals, and for the complete list of podiums and teams results, click here. LIGHT: Levi Jones-Leary def. Renato Canuto, 6-4 pts. MIDDLE: Isaque Bahiense def. Otávio Sousa, 2-0 pts. HEAVY: Kaynan Duarte def. Adam Wardzinski, 1-0 advts. SUPER-HEAVY: Fellipe Andrew def. Mahamed Aly, 18-2 pts. LIGHT FEATHER: Amanda Monteiro def. Talita Alencar, 1-0 advts. FEATHER: Ffion Davies def. Karen Antunes, 4-2 pts. MIDDLE: Ana Carolina Vieira def. Laurah Hallock, 12-0 pts. MEDIUM HEAVY: Luiza Monteiro def. Monique Elias, 2-1 advts. 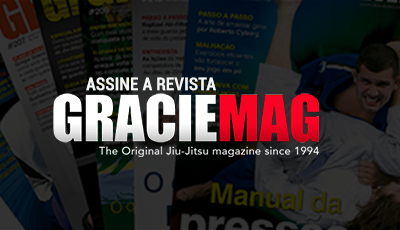 ABSOLUTE: Gabi Garcia def. Nathiely de Jesus, 1-0 advts.